Composition students at the University of Louisville School of Music present several concerts of their own new works each year, performed by peers, guest artists and faculty. These concerts are recorded and every student composer will receive high-quality recordings of their compositions. Please visit our SoundCloud and YouTube accounts for samples. Visit us at Facebook, too. 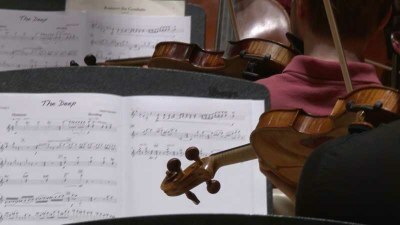 The faculty, facilities, resources, and events at the UofL School of Music offer exceptional opportunities for a thorough education in the fields of music composition and theory, as well as unique opportunities to hear and study a broad range of musical styles. Degrees in both theory and composition are available at the graduate and undergraduate levels. 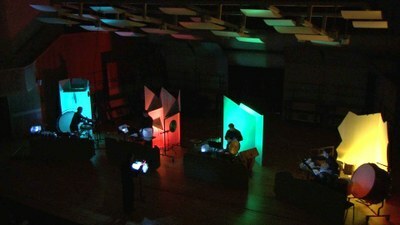 A core curriculum emphasizes recent compositional techniques as well as traditional tonal materials, with numerous classes in analysis, counterpoint, orchestration, and special seminar topics. Degree students have access to a state of the art computer music studio, as well as a similar, but smaller computer music studio. The School of Music is home to the Grawemeyer Award for Music Composition, one of the largest monetary prizes for music composition in the world. The Grawemeyer Collection, which is available for students' use, contains nearly five thousand entries from composers around the world. This is one of the best collections of new music in the world today. Each winner of the Grawemeyer Award for Music Composition visits campus for lessons, lectures and master classes, and in many cases establishes an ongoing relationship with the School of Music. The annual New Music Festival, the Grawemeyer Award, and the New Music Concert Series are among the many events that bring distinguished guest composers to campus. Student composers have regular and frequent opportunities to work with these composers in master classes and individual lessons and in some cases have established continuing relationships. Grawemeyer Award winners, New Music Festival guest composers, and other visiting composers have included John Adams, Thomas Adès, Louis Andriessen, Daniel Asia, Simon Bainbridge, Leslie Bassett, Pierre Boulez, Chen Yi, Unsuk Chin, John Corigliano, Sebastian Currier, Brett Dean, Tan Dun, Donald Erb, Arthur Gottschalk, John Harbison, Sidney Hodkinson, York Höller, Karel Husa, Aaron Jay Kernis, György Kurtág, Libby Larsen, Peter Lieberson, David Maslanka, Per Nørgård, Shulamit Ran, Kaija Saariaho, Esa-Pekka Salonen, Bent Sørenson, Steven Stucky, Toru Takemitsu, Augusta Read Thomas, Joan Tower, Chinary Ung, Michel van der Aa, and Ellen Taaffe Zwilich. UofL composition graduates have gone on to graduate work at the Eastman School of Music, Indiana University, the University of Michigan, the Royal Academy of Music in London, Cornell University, The Curtis Institute, the Peabody Institute, the University of Illinois, the University of Texas, The University of North Texas, the University of California—San Diego, Brandeis University, Arizona State University, the University of Missouri-Kansas City, and others, usually with significant fellowships, assistantships or other financial awards. They are active in the field as composers, teachers, and performing musicians all over the US and abroad. See the list of alumni for details.